In which we recap nearly 200 issues in under three minutes; Madelyne Pryor is the Medea of X-Men; Mister Sinister takes the stage; Dazzler is basically an ’80s movie refugee; Scrambler may or may not be an exchange student from the Riverdale Marauders; Marc Silvestri is excellent at some things and less so at others; nothing good happens in Nebraska; Trish Tilby is the April O’Neil of X-Factor; and we swear that it was a total coincidence that this episode went up on Mother’s Day. This first half of Inferno is so good. I love how Maddie just gets progressively darker and more threatening. And then Sinister really is wonderfully hammy, and so great. I do also think the growing darkness of the X-Men was handled really well. On a side note, Colossus’ resistance to the Inferno stuff is presumably just a result of his general resistance to magic, related to his steel body being considered an iron alloy. It’s the same reason he was able to hurt the Adversary during Fall of the Mutants. On a stupid note: Every time I read “Goblin Queen,” I hear it to the tune of Abba’s “Dancing Queen.” Does that happen to anyone else? Or am I alone in my insanity? Actually, now that I’ve said it, anyone who reads this comment will suffer the same thing. All part of Sinister’s plan or something, I’m sure. I hope you’re very proud of yourself, XMenXPert. When someone comes up with an entire verse of a Goblin Queen song, then I’ll be proud of myself. The gauntlet is thrown, people! It’s Friday night and the lights are low. Demons just need a place to go. You know things won’t end well. Now you’re meeting your “father”, you find that you’re a clone. You’re in the mood to burn. And you are the Goblin Queen! Cloned from Jean! Worst costume that’s e’er been seen! Goblin Queen! A Hellish scene, this is all you’ve been, oh yeah! You’ll show Scott! You’ll all a lot! You’re not just a pawn in a plot! See that girl, who look like Jean – it is the Goblin Queen! (*You’ll show all a lot. NOW I’m proud of myself. And Bra-gorram-vo to you, Armaan. Very well-done. Standing ovation. “What Price [Blank]” has got to be in the running for most Claremontian title construction ever. Hmm…Stan Lee seems to have used that construction previously – What Price Freedom” was a 60s Iron Man story; “What Price Glory” was a 60s Captain America story. I feel like most of the standard Marvel title constructions go back to Stan Lee titles from the 60s. Okay, not entirely related to Inferno, but to Sinisters plans as outlined in these comics, is it just me or is Sinister’s overall goal just blitheringly dumb? He wants the offspring of Scott and Jean, and grows his own Jean to do so… He’s a freaking geneticist who clones people as casually as most people change socks, and who has had regular access to Scott for many years. . Why the heck not just grow his own Scott and make them have horribly unethical little meat-puppet babies together… or grab a turkey baster… or something else equally as dubious? Does it not count if one of the parents isn’t… “free range” or something? To have the self proclaimed master of genetic manipulation and cloning seem to fail to grasp the implications of his own title never made any sense to me. Some points and thoughts on how it fits together. He’s a bleeding edge scientist in his field. If an experiment fails, he should do what all scientists do; try again. The Marauders prove he perfected his technique, so he should go grow Jean 3.0 and stop being such a whiner! I think the police cars are a reference to a Salvador Dali painting of elephants or horses. Art history people chime in if you will. Sorry if this was already stated. 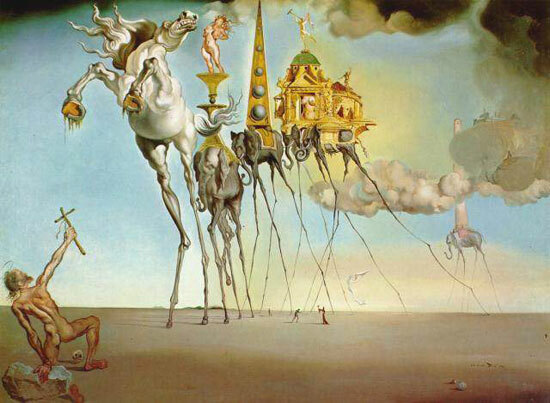 Seeing the actual Dali painting, I agree, it doesn’t quite line up. 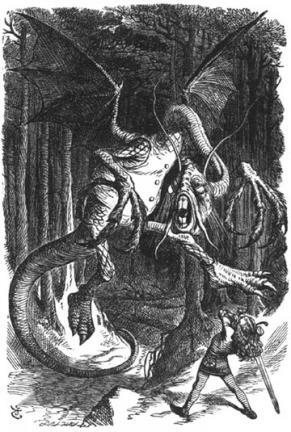 I can see the Jabberwocky too, especially in the textures of both. Looking at the image again I’m starting to think of ED-209 from Robocop, huge legs tiny arms. Robocop would have come out roughly 2 years before that image was published too. It reminded me of Violator from Spawn, but these comics predate the creation of Violator by several years. I always thought the same thing about that Storm line from the film, it is such a Joss line. Sarah Michelle would have delivered that line perfectly. Great episode! I’m pretty sure there’s an interview somewhere where Joss confirms that as the intended delivery of that “lightning toad” line, so good ear both of you. Speaking of him, I was recalling the ep of Angel where we first see the Wolfram & Hart offices and see a guy in a luchador mask handing out mail, wondering what his story was then a couple episodes later we find out all about Numero Cinco’s history. I only say that to say this: since Joss seems to be as interested in the day to day lives of bit characters as we all are, perhaps he would do justice to the “Harvey & Janet- Middle Managers of Hydra VS Super Doctor Astronaut Peter Corbeau Live from the Heartbreak Hotel” series, yes? This is a Rogue I never realized existed. Throughout my childhood she was lovelorn and more than a tad possessive. Its nice to see a more playful side. Another x-cellent episode. Loving all the Sinister coverage and looking forward to hearing about the rest of Inferno. The way he talks sometimes makes me think, was he inspired by pro-wrestling of that era? I was glad to hear Jay compare Madelyne to Medea, because I’d read the play in high school the year before Inferno came out and was thinking of it the whole way through. By the way, is Uncanny #239 the first place Nathan is actually named? The podcast has been using the name all along, but my memory is that up to that point it was just “the baby” or “our son”, which got kind of strange after a while. Nah, they specify that his name is Nathan Christopher Charles Summers way earlier–and, specifically, that he’s named after their collective fathers (and father-figures). I don’t know the issue off the top of my head–201, maybe? Right after the trial of Magneto. I have the same recollection as Strephon on this one, I thought they took a ridiculously long time (like actual years) to call the baby by name after his birth, to the point where one character lampshades the fact that they’re treating it like some sort of big secret. According to “The Fantasticast”, Franklin Richards was “male baby” for about a year after his birth. Perhaps it’s a superhero thing. A quick check on UncannyXMen.net confirms that, yes, this IS the first time Nathan’s name is actually given. So since he was born in X-Men 201, that is somthing like three years of the poor kid not actually having a name, which is an impressive duration for the sort of narrative hoop-jumping required by having a character constantly be referred to, but never by name. Enjoyed the podcast this week a lot 🙂 One of my fave events of the X Universe. Can you spot the “Pet peeve”? Ahhhh. Here is where a lot of the really weird Carol/Rogue stuff starts. Man, it gets sooooo creepy and strange from here forward. I, too, think another recap is needed. When I found the podcast, I overlooked episode 52 until I had gone through the first 51 already. Episode 52 isn’t on the XML feed anymore (59 is currently the oldest), and the Recap category on the blog is for X-Men Evolution, not recaps for the podcast. 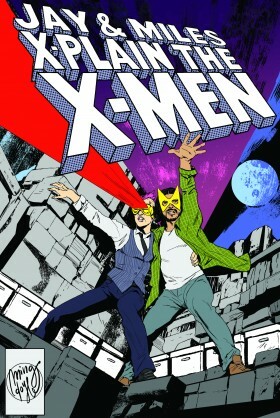 While I was determined to get through over 80 podcasts at the time I found X-Plain the X-Men, perhaps not everyone is. That said, it may need to be put off until Inferno is finished. You mentioned our old episodes aren’t on the XML feed anymore – where are you seeing that? All of our old episodes seem to correctly appear in iTunes / Google Play / etc., but maybe there’s somewhere I’m not looking. Sorry for the delay in my response. I tend to view the RSS feed ( https://www.xplainthexmen.com/feed/ ) in a web browser, Firefox specifically. Perhaps this limitation is only in Firefox, then. So, the descriptions of the darkly comical & gruesome New York here (particularly involving the particular vignettes of mailboxes eating people and fire hydrants attacking dogs) feels very much like the material from the “Mars Attacks” and “Dinosaurs Attacks” trading cards. So I’ve been reading through Inferno issue by issue as I listen to the podcast, including non-X-Men tie-ins. Am I the only one kinda bothered that Green Goblin AND Hobgoblin both figure heavily in the Spider-Man side of Inferno, and neither of them has anything at all to do with Goblin Queen? Um, look, not all goblins are related; and I am somewhat offended on their behalf at the implication that they should be.